To celebrate its 10th year supporting the Community FoodBank of New Jersey (CFBNJ), NAIOP New Jersey has launched a 1 Million Meals for NJ fundraising campaign. The commercial real estate development association kicked off the initiative on November 5 during its annual President’s Awards and Hall of Fame Dinner. “Close to one million of our neighbors suffer from hunger, and over 70 percent of food insecure New Jerseyans are forced to make the impossible choice between food, shelter and medicine,” said Robert Rudin, vice chairman of Cushman & Wakefield, who announced the launch of the campaign. Through its annual Community Action Project, NAIOP NJ collects cash and food donations and volunteers stock shelves and repackage supplies for distribution at CFBNJ’s Hillside facility. The state’s largest anti-hunger and anti-poverty organization partners with over 1,000 food pantries, soup kitchens and shelters across the state to ensure that nutritious food is available to families in need year-round. NAIOP NJ has donated the first $10,000 towards the campaign goal and is encouraging matches from its member companies. 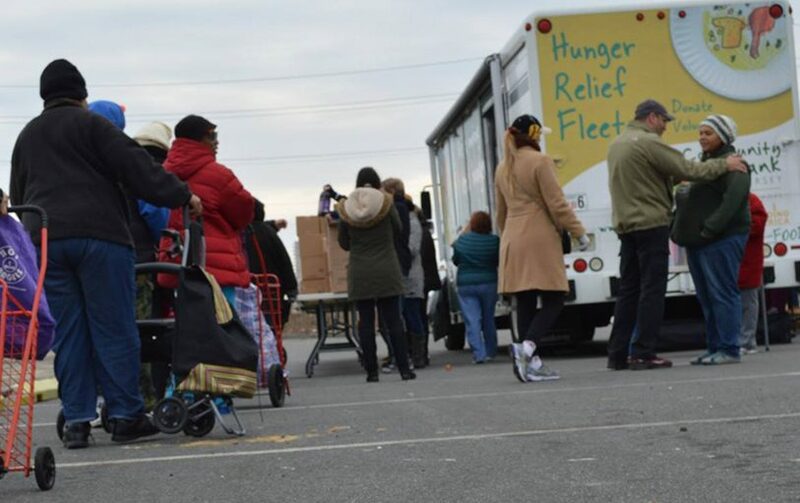 “Research shows that hunger is an issue in nearly every community across our state, and our members live and work in these very same communities,” said Michael McGuinness, CEO of NAIOP NJ. “This campaign offers the opportunity for our colleagues in the real estate industry, as well as friends and family, to work together to support the FoodBank’s mission to end hunger through job training and food support,” he added, noting the effort dovetails nicely with Assembly Speaker Craig Coughlin’s anti-hunger legislative proposals introduced in early November. Donations can be made via a dedicated page on the CFBNJ website, http://support.cfbnj.org/naiop. In addition, companies and individuals can host their own fundraising events or volunteer at the FoodBank or at one of the organization’s service sites. For more information or to make an offline donation, contact NAIOP NJ’s Barbara Morford at (732) 729-9900, or visit www.naiopnj.org.